Hello all! I don’t know if you noticed a little blip in my blogging, but it’s because I disappeared off to New York City last week. Now that I’m broke, back, and ready for action, I will present to you with today’s Etsy feature: Hawk Couture. Just as I thought I was totally over that whole crystal necklace phase, Greta Hotmer – the creative behind Hawk Couture – got me right back into it. Unlike most designers, Greta actually looks into the metaphysical aspects of her all her materials and actually started her business by making healing jewelry for her friends in certain situations such as loss of a loved one and pregnancy. Fascinating, no? While on the same page, she also runs a ~healing~ Youtube channel with her sister entitled The Twin Tree Channel where they aim to bring a new magical awareness to life by discussing spiritual and physical health. On top of it all, Greta is in a now five-year-old band called The Moxy, which reminds me of Evanescence… but positive. All in all, Greta is good people. Anyone who spends this much time juggling a mountain of activities while spreadin` the love is great in my books! Anyway, she sent me a few beautiful pieces including the necklace in my last post. Here, I’m nonchalantly frolicking in the sunlight wearing my two favourite jewels by Hawk Couture. One is an amazing clear quartz crystal shaped like a skull, which is supposed to protect from negativity as well as assist in manifestations, prayers and new beginnings. The other is raw titanium aura quartz; its beautiful metallic silver and rainbow colours are supposed to attract and encourage positive energy. I’m absolutely in love with them so please check out the Etsy shop here!!! 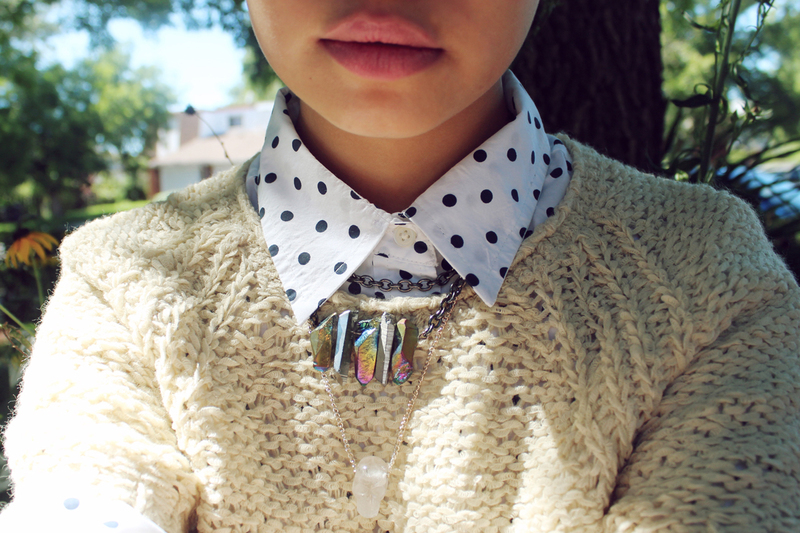 By Bianca Venerayan on August 22, 2012 at 12:01 am | Posted in features, outfits. Aah adore those snakeprint boots!